Have you looked at your hallway recently? Usually we pass through these small spaces without giving them a second thought. But if you look carefully, you’ll find a great place to express your personal touches and even a place to gain some extra storage. While hallway decorating can be challenging, don’t ignore this often forgotten space! Many people find it’s harder to decorate a hallway than it is to decorate a living room or bedroom. While you might think it would be easier to decorate a smaller space, it’s the lack of space that holds most people back. With so little room to spare, you must choose each piece thoughtfully to enhance the space rather than detract from it. In addition, you’ll want to tie your hallway decor into the overall decorating scheme for nearby rooms. Since hallways are high-traffic areas and can be very visible, they need to smooth the transition from one room to another. While hallway decorating can be challenging, don’t ignore this often forgotten space! Check out these ideas for using this neglected part of your home in new ways. 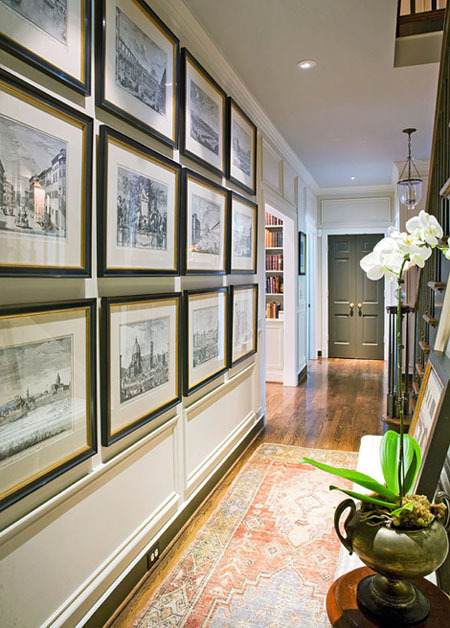 Rather than hanging just one or two pictures, turn your hallway into a gallery with multiple frames in interesting groupings. 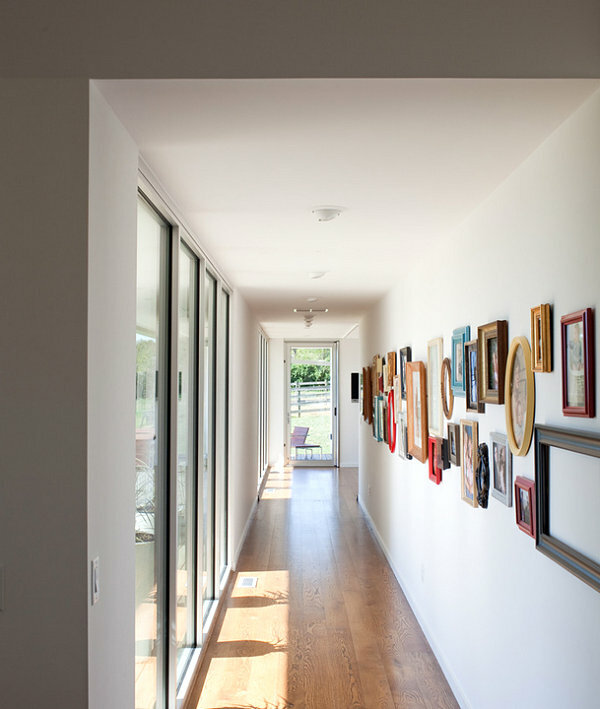 With so many different ways to arrange your frames, you’re sure to find the look that is right for your hallway. Unify your space with frames and artwork that match the colors and textures of your furniture. 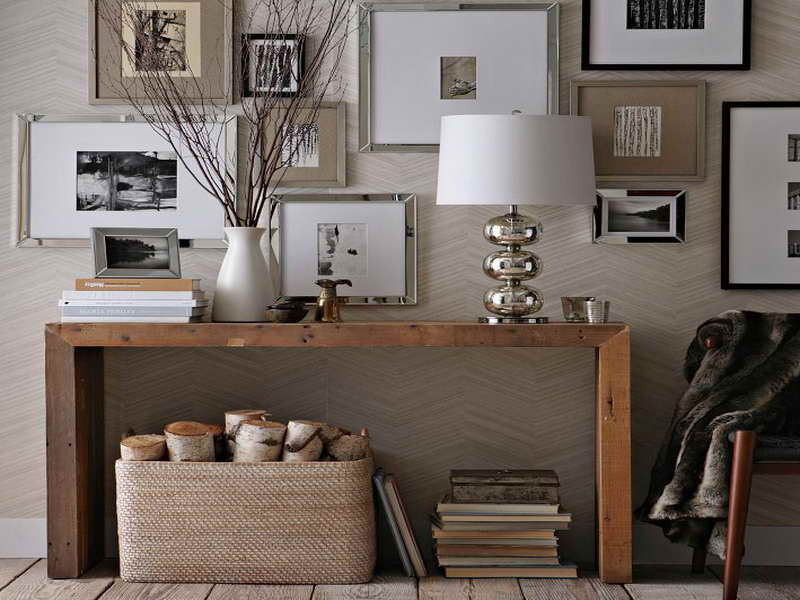 Confine an eclectic mix of frames in a narrow strip to add interest to a long hallway. Or, go a little wider for a slightly different look. Even in a tiny hallway space, you can use a narrow table and plants to add interest. 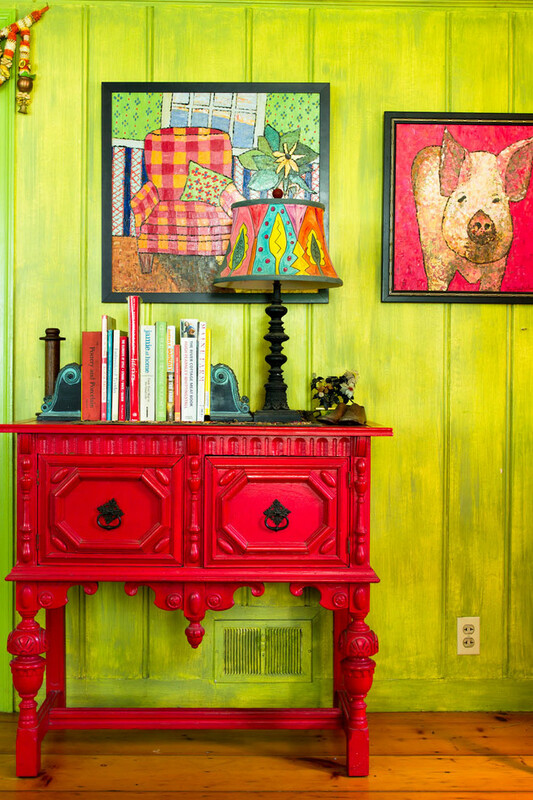 A bold, eye-catching piece of furniture is a great way to add interest to your hallway. This is also a great option for renters who want to bring energy and color to a hallway but can’t paint or alter the walls. This ornate wrought iron side table brings striking lines and doesn’t take up much space. If storage is at a premium in your home, consider ways to add shelves or cupboards to hallways. 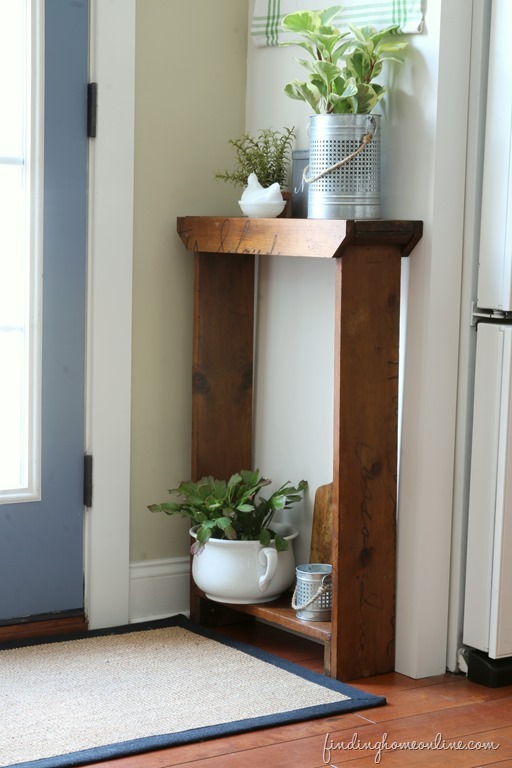 Rather than simply places to store stuff, these additions also add interest and decoration to your hallways. 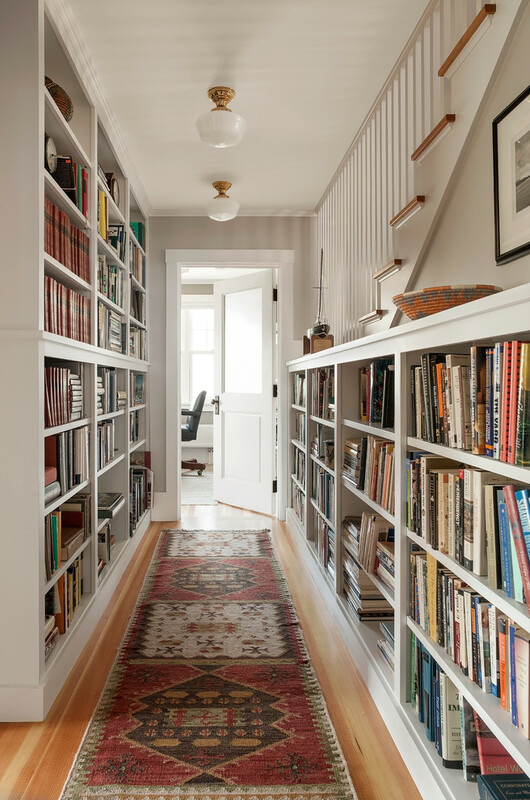 Bookshelves are a logical choice for long hallways. If the hallway is narrow, consider floating shelves instead. Metal furniture like these lockers might be too industrial for a living space, but they make perfect storage for a hallway. In addition to storage, hallways are the perfect place for additional seating. Tuck a bench under a stairway (or even a single chair) for a quiet reading nook. 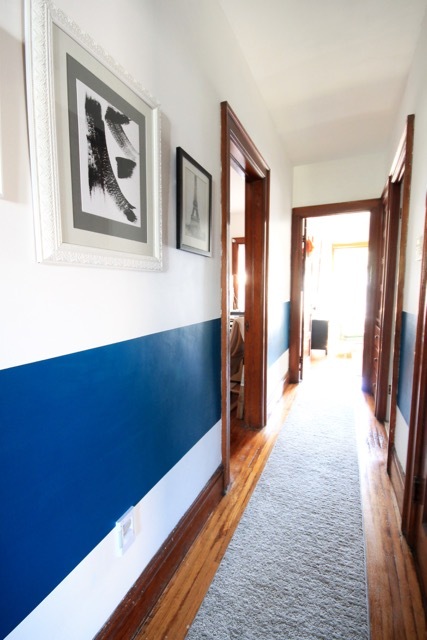 Hallways are a great place to experiment with bold or unusual wall treatments. 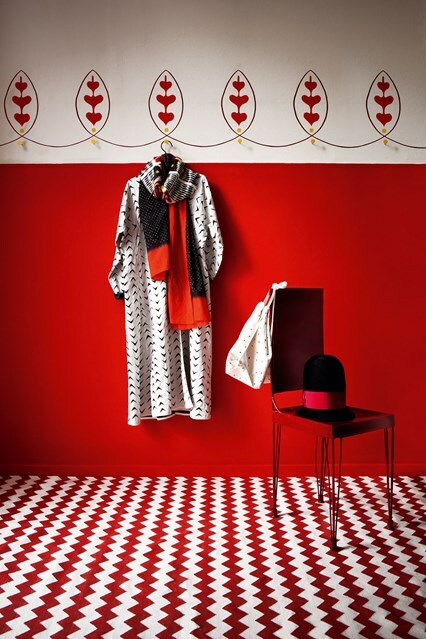 Patterns or wallpapers that would overwhelm a regular room are perfect for a small hallway. 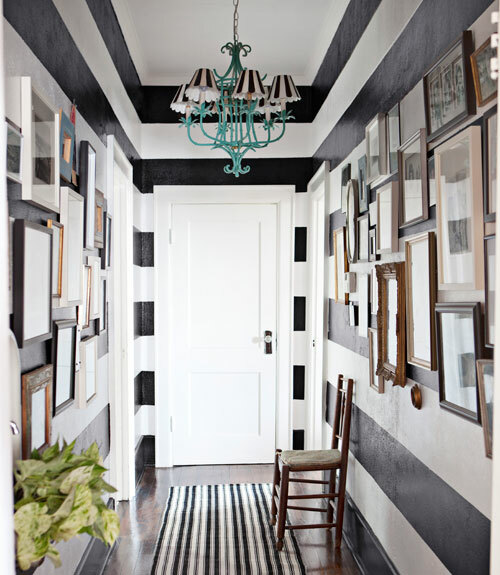 This hallway uses several bold stripes of paint to draw you through the space, while this hallways uses just one. Geometric wallpaper makes a hallway feel larger and more interesting. Or, try some geometric stencils. Long hallways allow you to showcase beautiful rugs that would be too narrow for other rooms, but don’t just limit yourself to throw rugs. 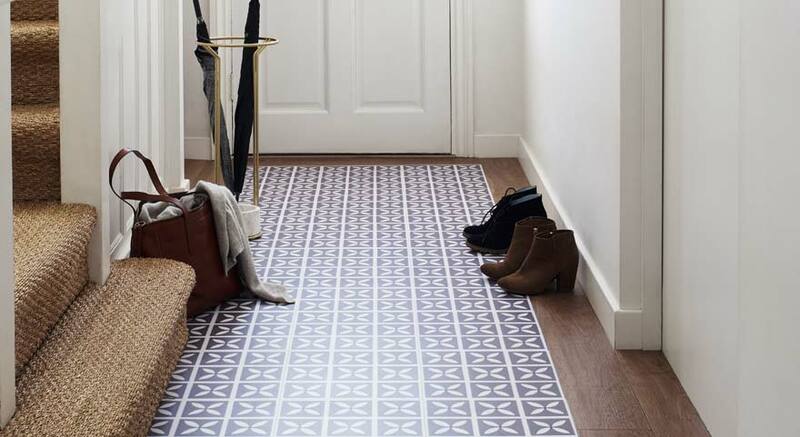 Interesting floor treatments set the tone for the hallway and lead people naturally from one room to the next. 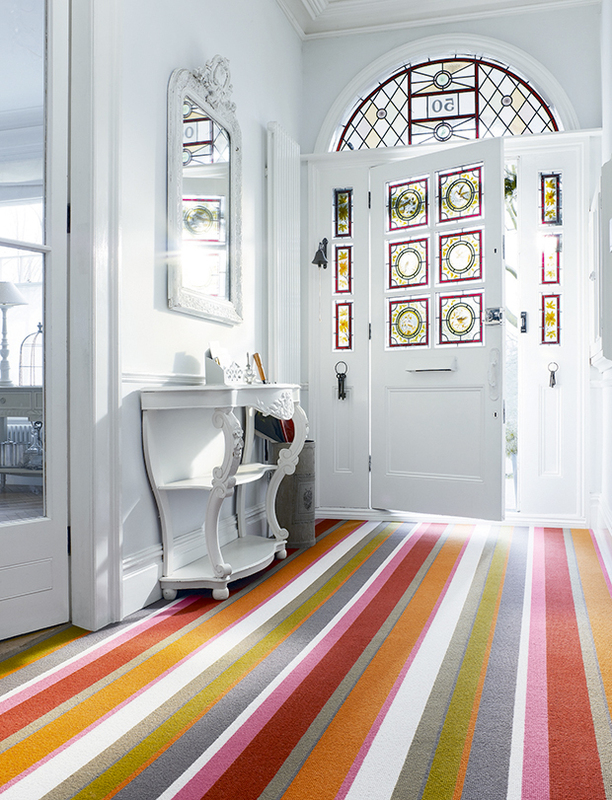 Cheery, wall-to-wall stripes welcome guests and guide them in. 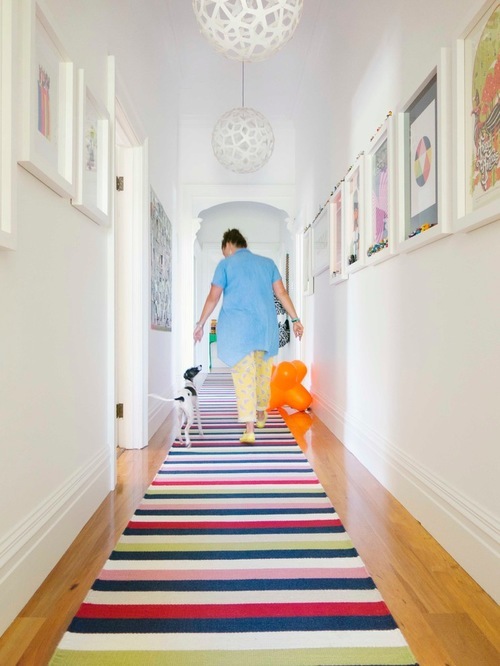 Or, use a striped rug to bring color to a long, narrow hallway or make the space seem wider. A striking pattern adds visual interest to the space and means that dirt shows less in high traffic hallways. How have you decorated your hallway? Do you have any plans to change this space? Comment below – we’d love to hear about it!